Have a nature book you would like published? tekbirdr, LLC will take your book and 'publish' it for the Kindle Store and iPad. R U an expert or advanced hobbyist in a nature subject? Be part of the decodr series. If you're fairly versed in a subject but don't want to pen a book, become part of our Decodr series of iPhone and Android apps. R U a Birder? This is the must have app in the field! 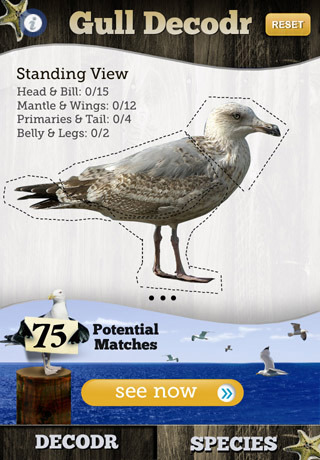 tekbirdr is also the creator of the apps birdcountr and birdcountr Euro- the most field handy bird checklist apps on the market. tekbirdr, LLC will take your book and 'publish' it for the Kindle Store and iPad— but you'll retain copyright of your work. We'll only act as editor and layout artist for your book. We'll also explore the possibilities of multimedia and interactivity within your digital book. Amazon or Apple will take 30% of sales from having your book in their store and tekbirdr, LLC will take 20% of the sale, leaving you 50% of each book published. We'll consult you about pricing based on the breadth and 'nature' of your book, but, with it a niche market, you can expect your book to sell from $14.99 to $39.99. If you're an expert in a subject but don't want to pen a book, become part of our Decodr series of iPhone and Android apps. We already have a format planned out, we just have to develop a database scheme with you to help identify your subject matter. 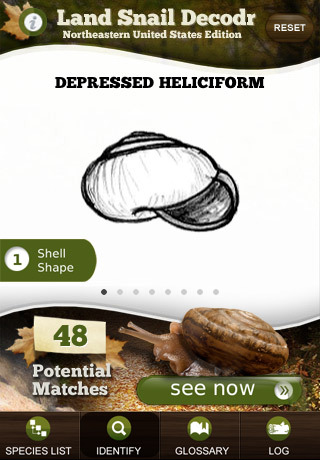 After that, you can populate the database with the key information and species notes. Next we'll add a design a layer and make the app come to life. Also, if you have photos of your subject matter, all the better, we'll put them in the app. No photos or drawings but have specimens? We can set up a photo shoot. Apps will generally be priced between $3.99 and $19.99 depending on breadth and obscurity of subject. Of this Apple/Google will take 30%, and we'll split the remaining profit 50/50. A subject can be as specific as an Order/Class by state or a Family by country or can be as broad as an Order/Class by Continent. tekbirdr owner Kevin Ripka is hard at work doing the research into land snails in the Northeastern United States. Video walkthrough coming soon! tekbirdr, LLC is currently looking for a gull expert to help produce the database for Gull Decodr. All cycles should be covered of all gulls that occur in North America. Gulls will be selectable by standing and flying views. © tekbirdr, LLC | All Rights Reserved. Web design and code by Kevin Ripka. And he could do yours too!